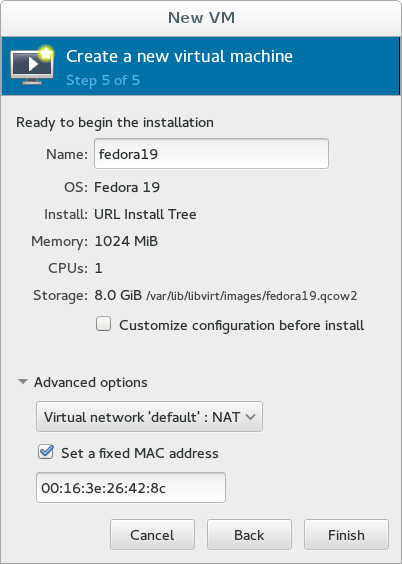 When creating a new virtual machine via virt-manager or virt-install, the tools make some assumptions about the default location for disk images, and the default network source. The default location for most uses of virt-manager is /var/lib/libvirt/images, which is created by libvirt and has the expected selinux labelling and permission to run QEMU/KVM VMs. 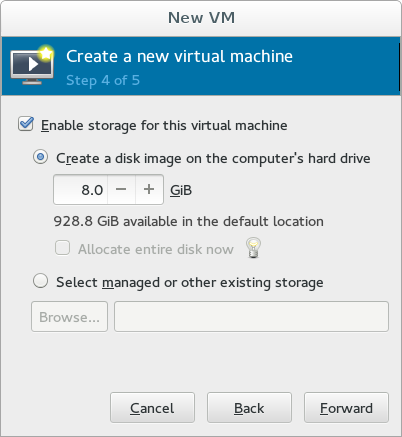 Behind the scenes, virt-manager is using a libvirt storage pool for creating disk images. When the 'New VM' wizard is first run, virt-manager looks for a storage pool named 'default'; if it doesn't find that it will create a storage pool named 'default' pointing to /var/lib/libvirt/images. It then uses that 'default' pool for the disk provisioning page. 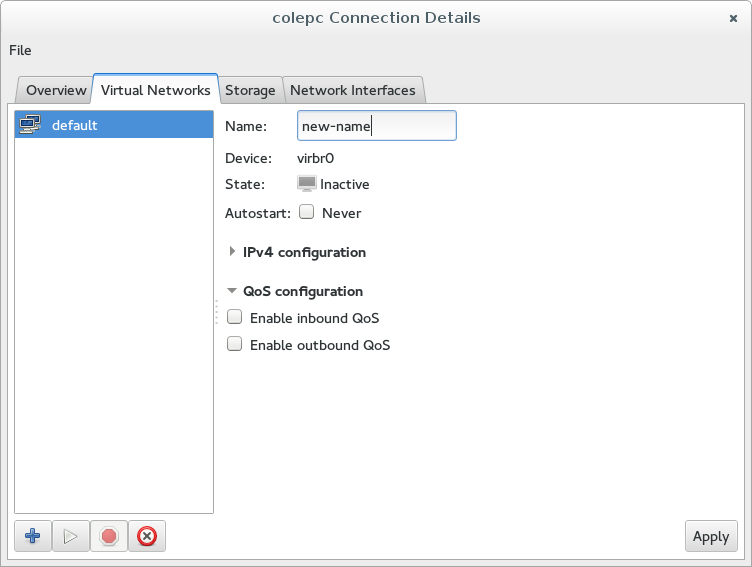 The default virtual network works similarly. The libvirt-daemon-config-network package will dynamically create a libvirt virtual network named 'default'. You can see the XML definition over here in libvirt.git. It's also the network source used when no explicit network configuration is passed to virt-install. Every now and then someone asks how to make virt-manager/virt-install use a different storage pool or network as the default. As the above logic describes, just name the desired virtual network or storage pool 'default', and the tools will do the right thing. Why doesn't virt-manager work like VirtualBox which saves everything in the home directory eliminating the need to superuser privileges and there by not chowning ISO? Basically, even if you use a different storage location, ISO used will be chowned to either qemu or root.